Each phase has an increasingly level of responsibility for patient care resulting in the ability to function independently by graduation. 960 instructional hours acupuncture training is dedicated to patient care and management during the internship program to prepare interns for future private practice as primary healthcare providers. Level I. The first three weeks of observation is to orient the students with regards to clinic protocol and equipment care. Depending on individual progress, observers may take on increasing responsibility in assisting practitioners with basic functions of practice appropriate to their level of training, such as charting vital signs, taking off cups upon completion of cupping techniques, performing certain tui-na and acupressure techniques, preparation for herbs (Grinding, packaging) and room up-keeps. Level II. As interns begin their Level II hours, their responsibilities are again increased slowly. During the first two weeks of their Level II hours, interns are instructed to practice the various techniques of removing needles safely and painlessly before they are taught to insert the needles on patients. At the end of the Level II hours, interns will have met their objectives and ready for the level II Exit Examinations. Level III. The main objective for Level III internship is to prepare the interns for solo practice so that upon graduating from the program, they are ready to perform on their own. Level III interns are to provide under supervision the comprehensive patient charting, diagnoses, treatment with acupuncture and herbal formulations. Toward the end of their Level III Phase, Interns may be assisted by a beginning Level II intern or be observed by a student observer. Alhambra Medical University Clinic is an acupuncture clinic, providing specialized medical clinic service and medical consultation. Integrating professional skills, comprehensive treatment and sincere follow up services, the medical clinic has operated up to satisfaction and trust of the patients and customers. Our Clinic equips diagnostic and treatment services in various fields of medical treatments by specialized physicians and licensed acupuncturists. In addition, professional massage therapists and technicians are available to provide acupressure massages. We emphasize combination services of inner care and external care, utilizing holistic natural therapy using acupuncture, herbs, nutritional and massage therapy. AMU University Clinic is a foremost teaching clinic where interns of traditional Chinese Medicine are receiving their hands-on practical training. Staff and interns uphold the mission to provide effective quality care for all patients. A session begins with a 15-20 minute interview (longer during initial visit) about your health concerns. Vital signs are taken and recorded before you are positioned onto a treatment bed to have the hair-thin sterilized disposable needles inserted onto specific parts of your body. You are to relax and rest for approximately 20-30 minutes while the practitioner prepares an herbal prescription (if applicable). Afterward, the practitioner will remove the needles and give follow-up instructions. Most patients feel relaxed and refreshed after the treatment. The number of treatments varies depending upon the severity of the ailment. Acupuncture is a method of encouraging the body to promote natural healing and to improve functioning. This is done by inserting hair-thin sterilized disposable needles and applying heat or electrical stimulation at very precise acupuncture points. The classical Chinese explanation of how acupuncture works is that the hair-thin-needles can influence the energy channels (meridians) which run in regular patterns through the body, nourishing the tissues. 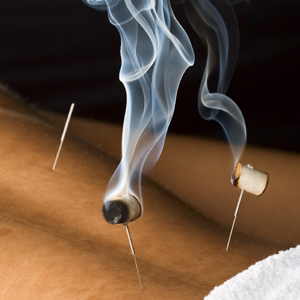 The acupuncture needles unblock obstructions and promote the regular flow of energy (Qi) through these channels. Acupuncture treatments can therefore harmonize the body’s internal organs to correct imbalances in their digestion, absorption, and energy production activities, and in the circulation of their energy through the meridians. One modern scientific explanation of how acupuncture works is that needling the specific trigger points stimulates the peripheral and central nervous system to release chemicals which may change the experience of pain, improve energy, or influence the body’s internal regulating system. Therefore, acupuncture enhances the body’s natural healing abilities and promotes physical and emotional well- being. Tuina is a complete system of body alignment based on Traditional Chinese Medicine. The term literally means “pushing and grasping” and the techniques involved includes acupressure, stretching and gentle manipulation to restore balance and harmony. Tuina/acupressure is often performed not only as part of a treatment but as a good preventative modality. Moxibustion is a form of applied heat therapy where the Chinese herb Ai Ye or mugwort is burned to warm acu-moxa points. This stimulates circulation and induces a smoother flow of blood and qi. It is often used to dispel cold or dampness in debilitating conditions such as arthritis and pain. Cupping is a technique where a vacuum is created either by heat or suction to vent toxicity, increase blood flow to stagnant areas of the skin and muscles, and to stimulate the peripheral nervous system. It’s often used for neck, shoulder and back pain as well as common cold and influenza. WHAT TYPES OF CHINESE HERBS ARE OFFERED? AMU Clinic carries over 300 high quality Chinese Raw herbs as well as individual herbs in concentrated powdered extract form. Ancient Chinese herbal formulas are an effective way of stimulating the body’s natural healing process. Most formulas consist of two to fifteen different types of herbs. Raw herbs are boiled together to drink as adecoction or tea while powdered extract could be easily dissolved for ingestion. In addition, patent formulas in pills or tablets forms are available for more convenient ingestion. Chinese herbology is considered quite safe and effective when prescribed by a qualified practitioner of Oriental Medicine. Migraine Headaches, Neck and Back pain, Arthritis and Joint Pain, Tendonitis, Sciatica, Carpal Tunnel Syndrome and Fibromyalgia. Chronic Fatigue, Allergies and the Effects of Chemotherapy.